He has inspired many generations to learn the ancient art of karate. For the past 25 years, Far Northerners wishing to learn the graceful yet mysterious martial art of karate have flocked to a building which, over its tenure, has become somewhat of a shrine to the disciples of sensei Kazue Matsumoto. 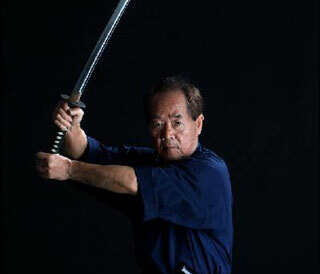 Today the 65-year-old Japanese instructor still presides over classes catering to all ages and abilities and stresses "you are never too old to learn". He should know. He has reached a superior level of knowledge, attaining a black belt 7th Dan through a grading system which awards participants on their knowledge and ability to perform a series of moves. While karate has been his life’s passion, the easygoing Kazue had a very different career in the marine industry prior to his arrival in Cairns in 1975. A graduate from Tokyo’s University of Fisheries, where he studied pearl biology and saltwater cultivation, Kazue was employed by one of Japan’s largest companies in that field. He was eventually offered a posting on Thursday Island in 1966 and settled there. It was while on the tropical island that he set up his first dojo (school). The teaching of children has been one of Kazue’s most satisfying achievements in his 55-year involvement with the ancient art. After completing his contract on Thursday Island in 1975, Kazue planned to move south. He travelled to Cairns, Mackay and Townsville before settling in Cairns. Fortune was to smile on the sensei and his students because in their search for a suitable site for the dojo, they discovered a block of land which was, at that time, centrally located and had recently been purchased. So determined were they to make it their own, the students chipped in to buy the land, which the owner eventually sold to them for $10,000. They then mortgaged the land to raise money for the dojo’s construction and luck was again on their side when faced with the next hurdle. The dojo was built and opened in 1982 with the aid of many students who were in the construction and related industries. The group also ran raffles at local pubs to help pay off the bank loan. In the following 15 years the sensei estimates that at least 10 per cent of the Cairns population attended classes at the Matsumoto Academy and many remain dedicated to the art. However, the sensei says he has noticed a change in the nature of students taking up karate. 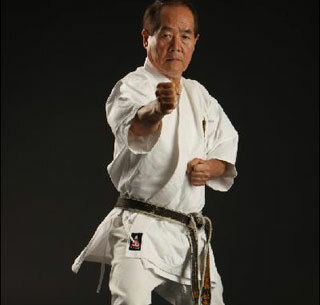 Teaching the Shito-Ryu style, one of four official styles of karate, the sensei’s success in transforming a normal member of the community in to an exponent of one of Japan’s finest exports has been recognised in the Asia-Pacific region. At the age of 18, Kazue learned Iai-do, the art of drawing the sword – a style taken from the great horsemen and warriors some 500 years ago. The graceful discipline is similar to kendo but differs in that it uses a real sword as opposed to kendo’s bamboo "weapon". As his interest grew, so too did his reputation for his knowledge of these traditional swords. Having been asked to view the sword of a collector in Cairns, similar to one Kazue used during an exhibition at the opening of the dojo, his curiosity was sufficiently aroused to uncover its history. The sword was taken from the official surrender ceremony in Bali and brought to Australia. Kazue has discovered as many as 300 samurai swords in the north Queensland region, most of which are used as ornaments but are steeped in history dating back hundreds of years. The sensei has a collection of swords. Each with colourful stories and extensive histories. Some are more than 500 years old and have beautifully maintained handles with glistening blades as sharp as the day they were made. It is surreal to hold these heavy implements of combat that were so masterly handcrafted. Kazue says the craftsmen would start with a 4kg piece of steel and hammer it for hours into the finished article, a 1kg fighting tool, before the specially made handle was attached.